MEMORIES OF ELVIS, Sammy Davis Jr.
Cover Front: (1978) White background. 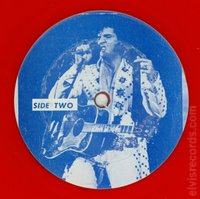 Picture of 1970s Elvis with microphone in hand and text in blue. Title across the top in all caps with LIMITED EDITION 250 COPIES. 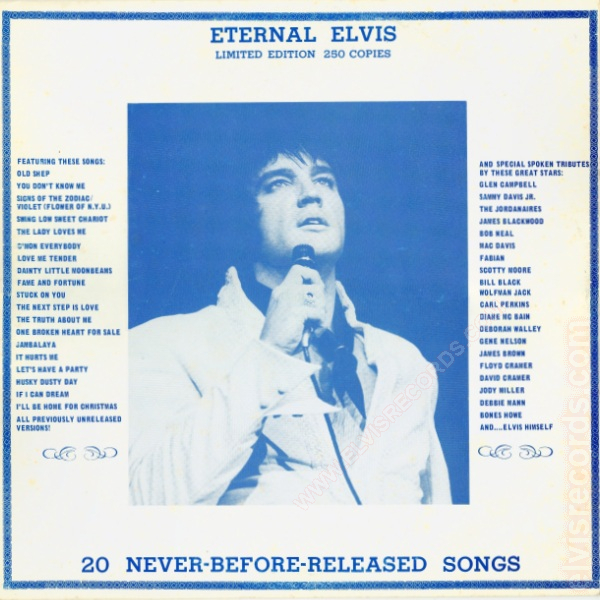 Cover Back: White background. Song titles on left and right sides, title top center, one drawing in blue of Elvis' bust in the center. 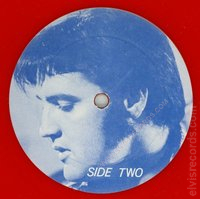 Disc: Pictures Elvis on both sides. According to once source1, this is the first prsessing of this bootleg. The cover, disc, labels, and matrix numbers are all correct for the 1978 first pressing limited to 250 copies. 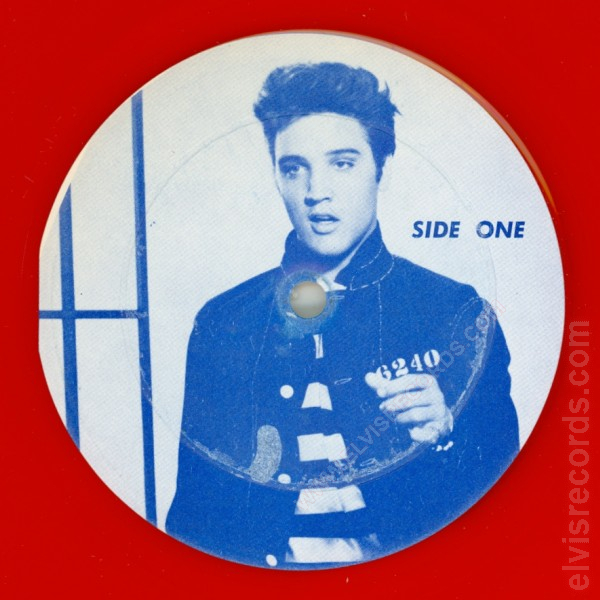 Other pressings exist with different labels and images of Elvis on the cover. Cover Front: White background. Picture of 1950s Elvis sitting and text in blue. Title across top not in all caps with Limited Edition and may have leather flap across top. 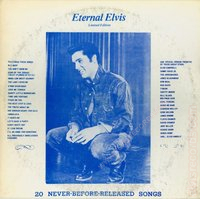 Cover Back: White background. 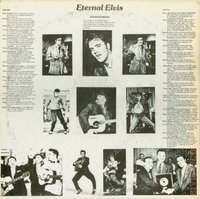 Song titles on left and right sides, title top center, and multiple black and white images of Elvis. 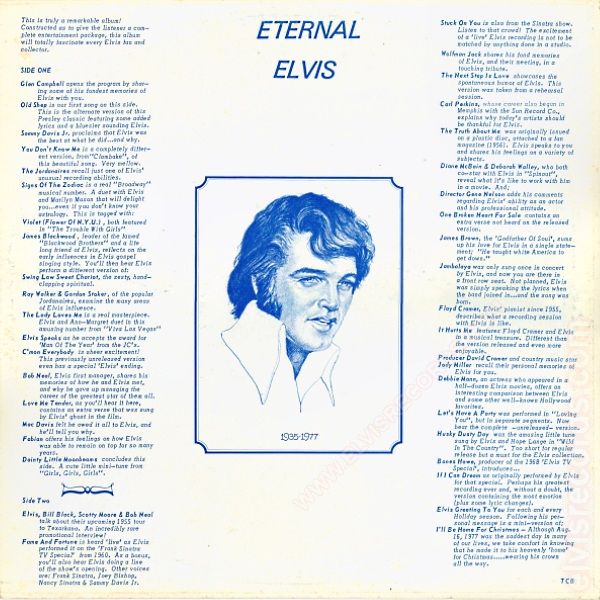 Cover Front: (1979) White background. Picture of Elvis and text in blue. 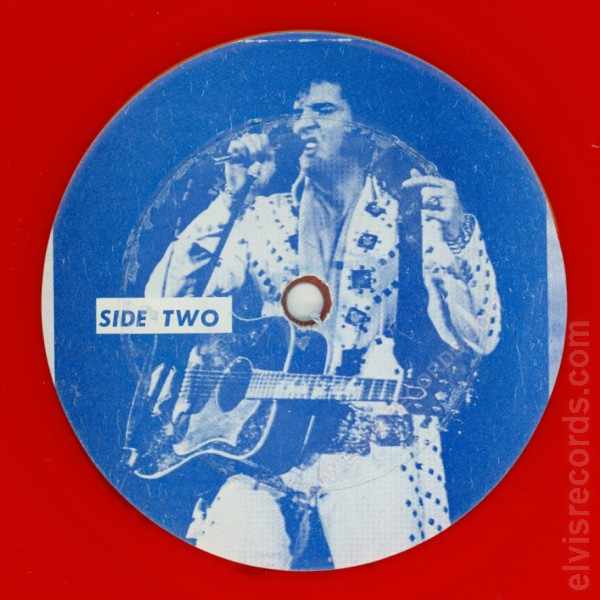 Disc: Blue images of Elvis with Side numbers. 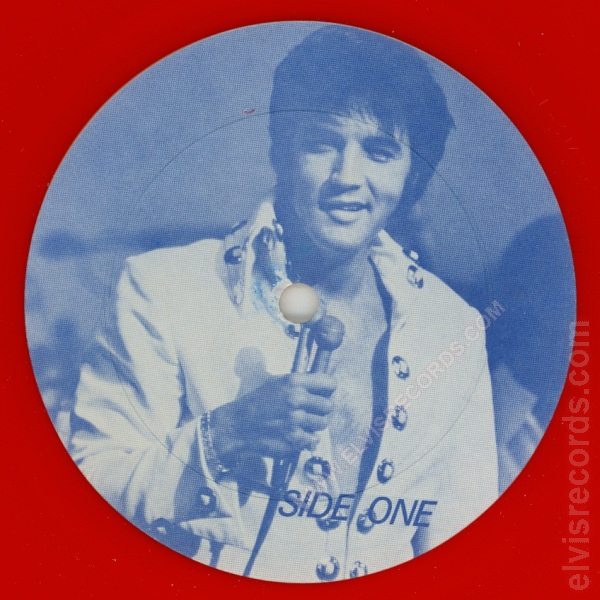 Red vinyl. 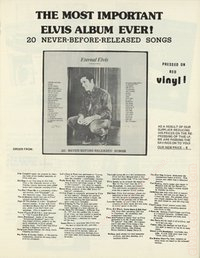 A one page advertisement for The Most Important Elvis Album Ever! 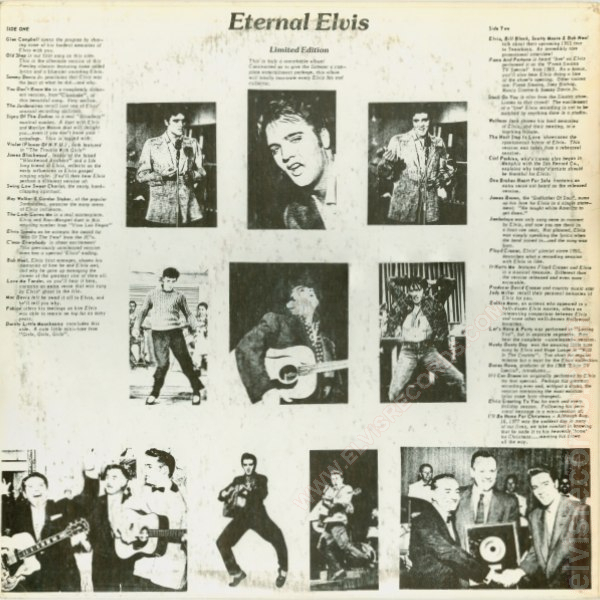 Eternal Elvis.